Designed specifically to complement the Fillmore 50, Mesa/Boogie is proud to introduce the traditionally-sized Fillmore 23 1x12 Cabinet. This vintage-tuned enclosure features a higher, tighter Bass response that is perfectly suited for the Fillmore. Made in Petaluma, California, Fillmore cabinets are constructed from Marine Grade, Baltic Birch with rear mounted UK-Made Celestion Custom 90 Speakers. 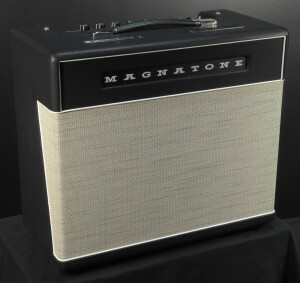 Their open-back design is vintage-inspired focusing on size, tone & portability. The Fillmore is not just another Boogie…it's a new strand of Boogie DNA. Yet the molecules that make up this soulful sounding model are really just a revisiting of the companies earliest roots. Randall Smith's very first Boogie’s were based on this architecture. It was only the success of another "MARK I Experiment" featuring a different branch of the tree used by Carlos Santana on his "Abraxas" album that catapulted that sound and circuit and caused the shelving of circuitry the Fillmore now resurrects with such beauty and authenticity. At the heart and soul of the Fillmore 50, you'll discover soft-clip-to-saturated. Mesa/Boogie's most expressive gain ever presented in a simple 2 (identical) Channel, 3-Mode platform, served up in traditional-sized and dressed combo and head formats. Humbly named in tribute to the renown bi-coastal venues that showcased the biggest names in Classic Rock over decades, this new instrument has been dubbed super-responsive, nuanced, organic… and "vintage-inspired Magic" by those who’ve experienced it. Subtle saturation that serves, not smothers, your style. Mint condition Carr Mercury V. The Mercury V is an outstandingly built boutique combo with a British flavor and amazing features. 16 watts of power with a built-in attenuator through a single 12″ Celestion Creamback speaker. 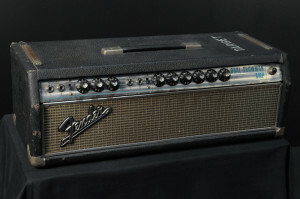 Incredible tone that has nice headroom for cleans and a warm crunch at any volume with the use of the attenuator. Built-in spring reverb and a dedicated line out which makes home recording a breeze. A versatile amp equally perfect for the home player or gigging musician. The Carr Skylark is the ultimate low-power American inspired amplifier! The Skylark idea began with Carr's love and appreciation for classic home/student 60s American amps such as the Harvard to name but one. These small, student amps deliver organic tube juice and vibe at real world volumes; making them super usable and super satisfying. The Skylark takes this fun utility a giant leap forward. Reverb, a built in power attenuator, Hi/Low gain switch, and the extended range presence control offer an incredible pallet of tones from the Skylark’s beautiful dove-tailed cabinet.